Hand Built raised mount table plan. 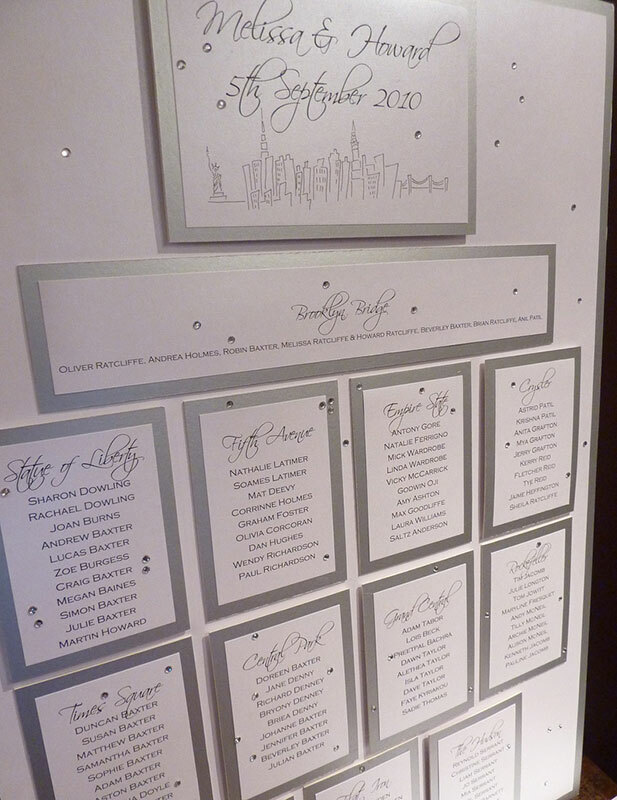 Each Table mounted on silver mount card finished with diamantes. The top of the table plan carries our pen line drawing of the New York skyline alongside the newlyweds names.